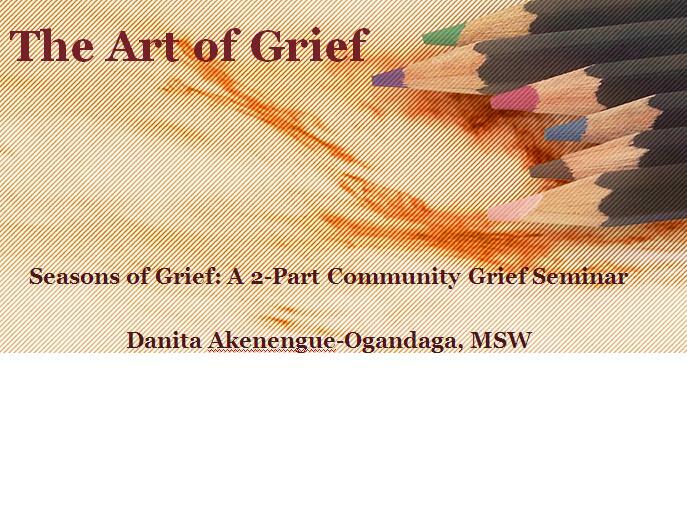 Last night, December 5, we held the last Seasons of Grief Seminar for 2013! What an awesome time we had in Fayetteville, Georgia. One thing that I have discovered about doing this work, is that no matter what the loss category is, no loss is the same and people decide to handle their loss differently. It is amazing to know that the common thread among humanity is the love that we hold in our hearts towards the ones we love and the power we have within us to learn how to move forward with the our loved ones in our hearts forever. Special thanks to Mrs. Christeen Snell, the Director of the Fayette County Public Library in Fayetteville, Georgia and her awesome staff for welcoming me in with open arms and ensuring with excellence that the audio equipment and facilities were accommodating to our guests. We certainly appreciate everything you have done. My arms wrap ten times around the attendees at last night’s Part II Seminar called :The Art of Grief. After providing an overview of the stages and steps of grief, I lead the group through an understanding for what art therapy is and why it is used as a form of expression: spontaneous and experiential. There is no mistake in the art of expression and I was amazed at the outcome. A wise man who crossed the waters from Africa to America to start a new life after the loss of his father, wealthy lifestyle, and promised future. No matter what the stories are, they are all powerful in nature and showed us the power of unconditional love. I was so honored to have been in the room and listen to the countless stories of love, pain, loss, and the hope for a brighter future after having been equipped with the protective space to voice their feelings, pain, love, and loss. To respect the privacy of the attendees, this picture features a picture of a giraffe indicating the blanket that their twin son used to have with him in the NIC-Unit at the hospital before he died. What an awesome remembrance. 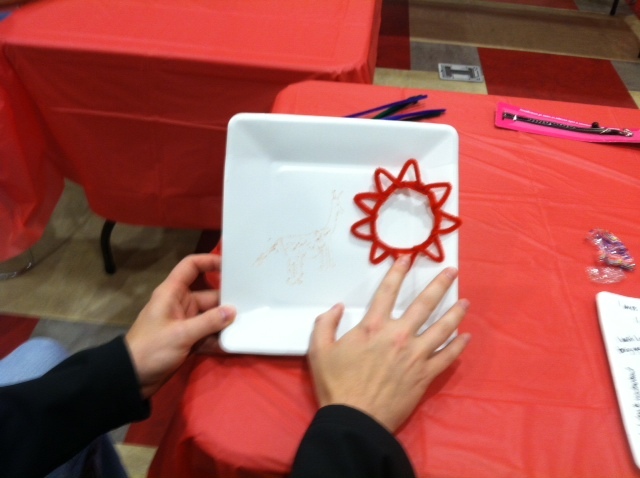 In addition, the red object is the sun, which is an indicator of hope. What an amazing expression. 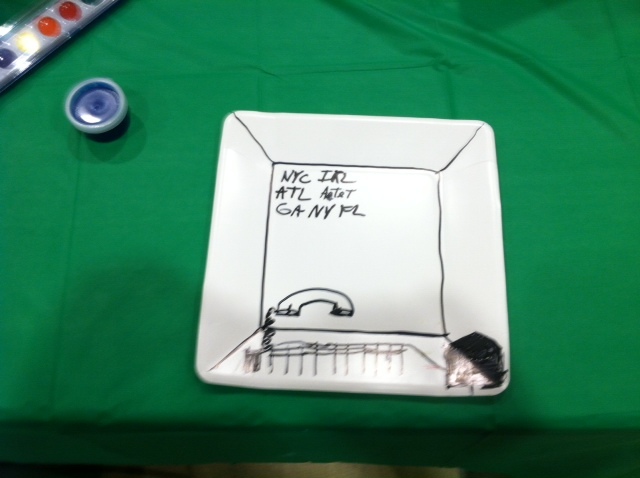 Two attendees chose to capture two forms of expression: written and visual. The picture on the left was done to remember her mother who recently passed. 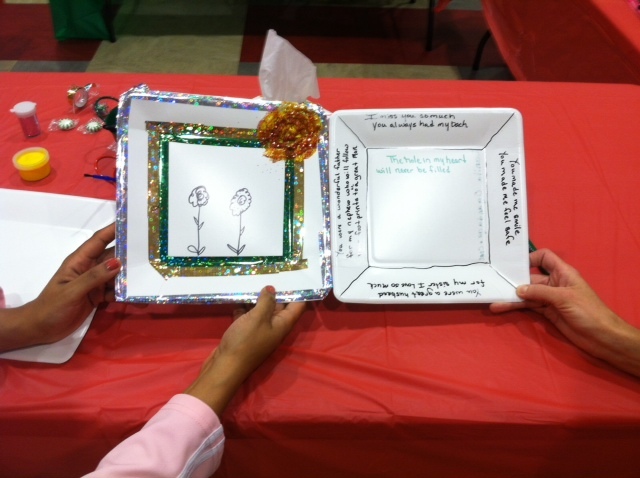 It was great to see how she cherished the memory of her mother by creating a beautiful drawing for her. 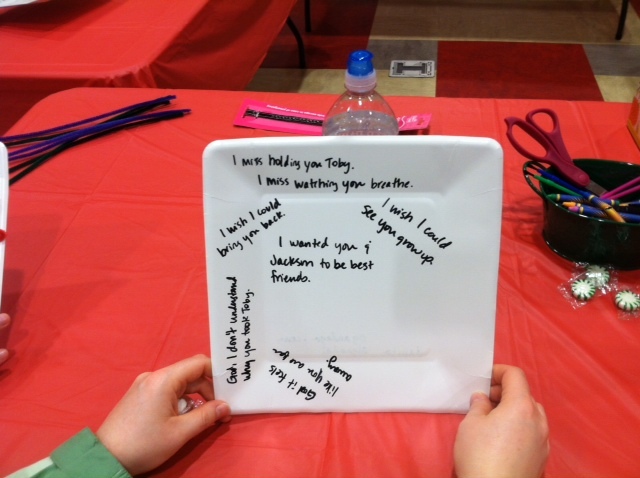 The words on the right provide an awesome and powerful expression of the conversation that the participant wanted to hold with her deceased brother-in -law. She never got to say goodbye so to be given an opportunity to provide communication to express herself was amazing. Words to your child are powerful and this was an example of a mother’s communication with her child and establishing acceptance with his passing. Saying goodbye to a good friend is never easy. 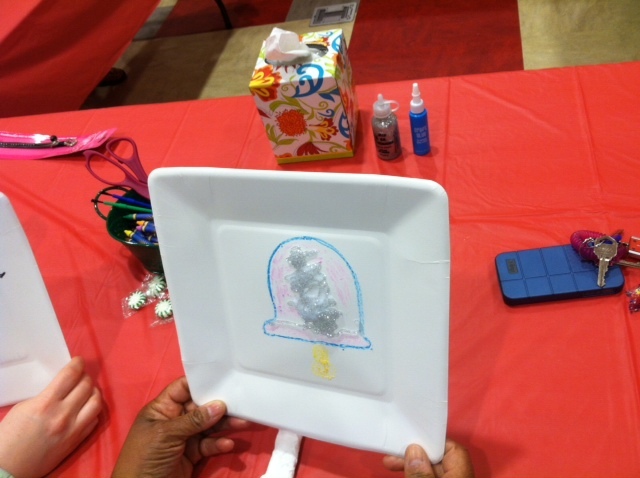 This participant decided to make a Christmas bell to ring in the promise for a season of healing after understanding how to process her grief. His father worked for a phone company and taking the time to express himself was done with the memory of his father’s memories of working where he loved. Each initial represents a state he worked in. Such as beautiful expression. I am grateful for the opportunity to conduct the Seasons of Grief Seminar in Fayetteville, Georgia and to work with an awesome group of people. To read the highlights from our first Seasons of Grief Seminar Part I on Learning to Relax, Relate, and Release After Loss click here.